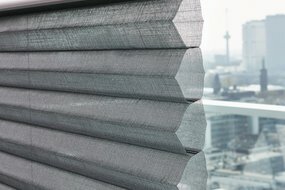 At Luxaflex®, we’re an industry leader in making a big energy savings difference at the window. In 1985, we invented the highly energy-efficient Duette® Shades in response to the energy crisis of the late 1970s. 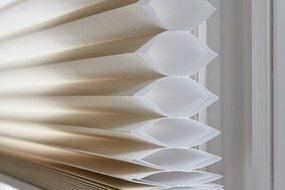 Our latest innovation is the Duette® Architella® Shades featuring a honeycomb-within-a-honeycomb design for even greater energy efficiency. Today, we continue to think about the impact all of our window treatments can make. Without energy-efficient window treatments, as much as 50% of a home’s heating and cooling energy can be lost through its windows. 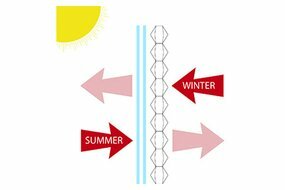 Ensure your windows and doors are properly weather proof. 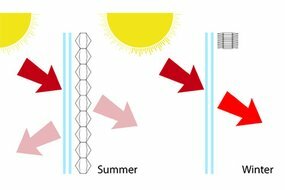 When heating or cooling is on, keep windows locked. Visit your local Luxaflex® showroom to see our energy saving Duette® Shades and get expert advice for your home.